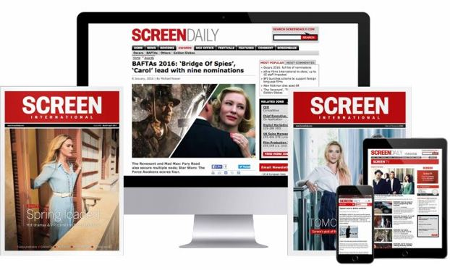 Bryan Lowe takes up his new role as chief executive of Screen Queensland on August 20. The government agency has also appointed Rocky Bester as director of production and investment, replacing Nick Hopkin. Meredith Garlick, who has been acting head,will return to her old role as head of development and production. Lowe was a key executive in the Macquarie Bank fund that raised money from the private sector about a decade ago for 11 features, including Crackerjack and Dirty Deeds.In 2010 his company, Harbourside, formed a joint venture with Beyond International. Screen Queensland also has an entirely new board, with Geoffrey Cooper replacing Professor Peter Coaldrake as chair, and including film academic Professor Stuart Cunningham and former Brisbane International Film Festival chair and the driving force behind the Asia Pacific Screen Awards, Des Power. The rest of the board comprises barrister Peter Baston, Gold Coast councillor Jan Grew, lawyer Michael Hawkins, Queensland Property Council executive director Kathy MacDermott, business consultant Kaye Martin and former commercial radio host John Miller. When Cooper announced Lowe’s appointment he referred to it in the context of boosting Queensland’s employment and tourism and making the state a cultural hub with a vibrant arts community. In March this year in a state election, the Liberal National Party lead by Campbell Newman defeated the Labor Party lead by Anna Bligh. Meanwhile, ScreenWest, a state agency on the opposite coast of Australia, has decided to put three dollars towards every dollar raised for local filmmakers using online crowd funding platform Pozible. The Western Australian agency has only put aside $260,000 in total (A$250,000) and has set a $157,000 (A$150,000) limit on individual projects, but the ‘3 to 1’ initiative is being billed as a world first. The money will be delivered on a “first past the post” basis and, unlike most agency funding schemes, projects do not require a traditional distribution deal. Each project will have a 90-day time frame to reach its funding target. New and established practitioners are eligible. Last year an Australian Government review into private sector support for the arts recommended public support for crowd funding. ScreenWest chief executive Ian Booth said the partnership would also inspire digital creators to be entrepreneurial about how they raised their budgets and proactive about building audience interest in their projects. Super Dingo, a comedy series for the web, and Hunter: For The Record, a documentary about a hip hop artist that recently passed away, are the Western Australian projects that have already raised their budgets on Pozible. Pozibleco-founder and director Rick Chen is due to give a workshop on raising money using his site on August 15. Pozible bills itself as Australia’s biggest crowdfunding platform for creative projects. Reliance Consulting brokered the deal with ScreenWest.